Beginning on Monday, February 5 our ELA classes will begin a unit on the novel, Wonder. During this unit, students will use the novel, fiction and nonfiction texts, and other media to explore literary concepts, including point of view, character development, figurative language, setting, plot, mood, and tone. Students will also practice analyzing literature, making predictions, and supporting their thoughts with evidence from the text. On a weekly basis we will be having discussion that explores the themes of bullying, peer pressure and fitting in. At the end of the unit, students will be watching the movie, which is based off of the novel. 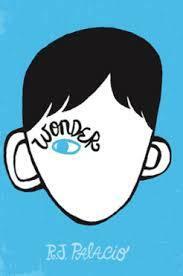 We will use 7th grade standards as they are grade banded and all Middle School students will be reading Wonder. Essential Standard: RL.7.6: Analyze how an author develops and contrasts the points of view of different characters or narrators in a text. RL.7.7: Compare and contrast a written story, drama, or poem to its audio, filmed, staged, or multimedia version, analyzing the effects of techniques unique to each medium (e.g., lighting, sound, color, or camera focus and angles in a film). RL 7.10 By the end of the year, read and comprehend literature, including stories, dramas, and poems, in the grades 6-8 text complexity band proficiently, with scaffolding as needed at the high end of the range. RL.7.2:Determine a theme or central idea of a text and analyze its development over the course of the text; provide an objective summary of the text. RL.7.3: Analyze how particular elements of a story or drama interact (e.g., how setting shapes the characters or plot). RL.7.4: Determine the meaning of words and phrases as they are used in a text, including figurative and connotative meanings; analyze the impact of rhymes and other repetitions of sounds (e.g., alliteration) on a specific verse or stanza of a poem or section of a story or drama. W.7.3: Write narratives to develop real or imagined experiences or events using effective technique, relevant descriptive details, and well-structured event sequences. W.7.4: Produce clear and coherent writing in which the development, organization, and style are appropriate to task, purpose, and audience.